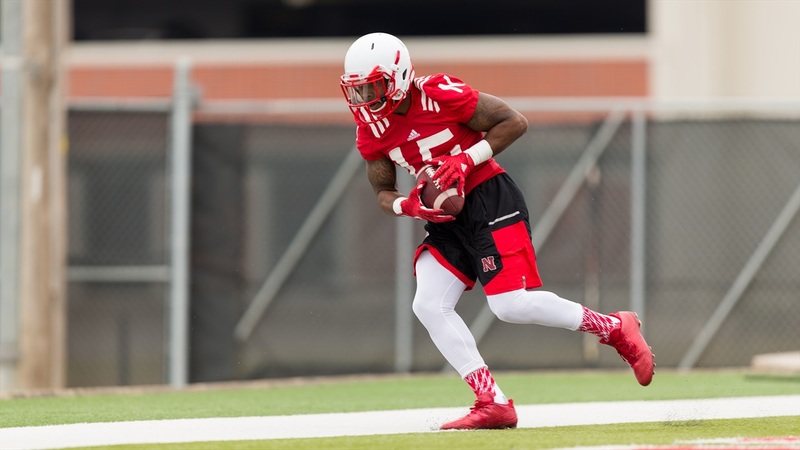 Depth chart, scholarship and captain decisions are still on the way, but Coach Mike Riley did share after Tuesday’s practice that senior wide receiver De’Mornay Pierson-El will get the first shot at returning punts this season. Riley said he has begun handing out open scholarships to current walk-ons, but he will not announce who received them until they finish the process. Riley also said the team will likely determine captains over the upcoming weekend. Riley also isn’t ready to call the running back battle because they players have made the decision so difficult. According to Riley, junior nose tackle Mick Stoltenberg returned to practice on Monday as planned and has had no setbacks after missing most of the last week of practice while going through concussion protocol. As the Huskers transition from fall camp into game prep for the season opener against Arkansas State, Riley said the team accomplished a lot during Tuesday’s practice. >> Riley spoke highly of the combination of Marcus Newby and Luke Gifford at the field outside linebacker spot and how the two handled splitting reps throughout camp. On the other side, the Huskers are a little less certain with Alex Davis, a converted defensive end, taking the first team boundary outside linebacker reps. However, Davis has embraced his new position and the opportunity it has provided him to evolve as a player. Davis is hoping the limited snaps he got last season as a redshirt freshman will help prepare him for an expanded role this year. >> Up front, Riley said the team needs junior Freedom Akinmoladun to be more than just a solid starter. “We’re looking for Freedom to be one of those guys that is a difference-maker for us,” Riley said. “He’s played quite a bit of football over time. He’s a fabulous worker. Very good intentions in everything that he does. So we all just anticipate his growth in the games.